Manolo Blahnik is the only shoe designer of his stature to design alone, and has done so since he created his brand in 1970. He works alone not as a means to set himself apart from his contemporaries, but simply because he does not require any creative input. When Manolo sits down to work, ideas flow through him fluidly and effortlessly. I sketch all my thoughts like an inner meditation with my hand. I never use a computer. Every shoe Manolo creates begins as a freehand sketch using sable brushes and watercolour ink. His stylistic use of line, light and colour give the renderings an impressionistic quality, making them works of art in their own right. Once he has sketched an entire collection, Manolo brings his drawings to the factories in Italy to work with the technicians on how to build them in three dimensions. My joy in life is spending time in the factories. 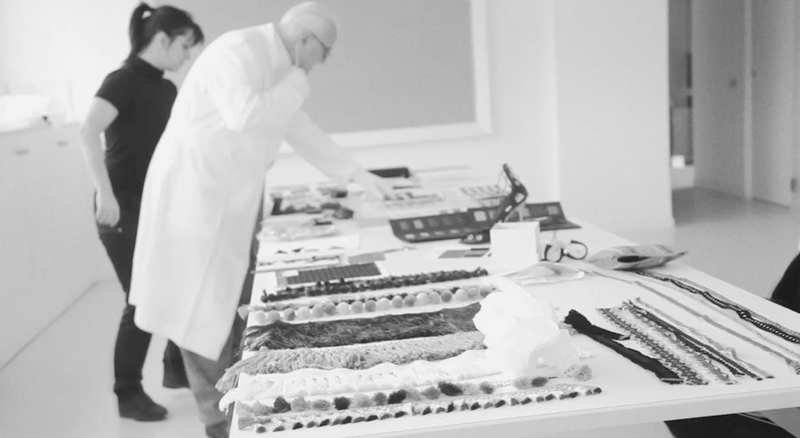 Manolo is involved in every stage of the process of building his shoes, and creates each sample himself to ensure that they match his original vision. He has been known to whittle the wooden lasts by hand, cut the patterns of the upper and assemble the parts to meet his rigorous standard. The factory artisans then study the prototypes to make enough exact copies to fulfil the orders. I’m not a fetishist, but I love feet. When I see feet, it’s simply beautiful. By all outward appearances, Manolo Blahnik is an artist, but he rejects the term. He considers himself to be an artisan, and yet, few possess his understanding of the foot in its inherent elegance. For Manolo, inspiration comes from a deep reservoir of sources, all of which evoke a sense of old-world nobility or otherworldly beauty: his glamorous mother, the monarchs of Sicily, Greco-Roman statue & architecture, his favourite novel, The Leopard by Giuseppe Tomasi di Lampedusa. Each Manolo Blahnik shoe is given a name, chosen by Manolo himself. Each shoe is a rhapsodic offering: an expression of the past, a vision for the future, but most importantly, an object of allure for the present.